Health and wellbeing have become the focus for many. People are interested in increasing their health and living strongly into their old age using natural medicine rather than completely depending on pharmaceutical drugs and the medical system. Although there isn’t a magic pill that keeps everyone healthy, nature does offer a wide range of herbs and nutrients that help in maintaining one’s strength and vitality. At Better Living Wellness Clinic and Health Store in Toronto (Etobicoke) we focus one the best brands that offer natural solutions. One of those brands is New Nordic and we are happy to offer a good selection of their products at our store. New Nordic is the herbal expert in Scandinavia. They focus on supplying specific nutrients that help activate the body’s natural healing power. From the original Swedish eye tablet Blue Berry to the iconic Hair Volume tablet, the products created by New Nordic aim to help a client maintain vitality and good health. In Scandinavia people live close to nature and their ideology is to assist the body with natural ingredients to heal and prevent. This ideology is spreading globally amongst the health enthusiasts. Since its foundation in 1990, New Nordic has been an innovative and dynamic company that develops herbal products that can increase the vitality of people. They produce all their products in Scandinavia in state-of-the-art and pharmaceutical grade factories. New Nordic products are sold to more than 50,000 pharmacies and health food stores in 32 countries. The “Silver Tree” logo is the stamp of quality for New Nordic’s world-famous supplements. All the above New Nordic products are created to support the healthy organ and immune function in the body. 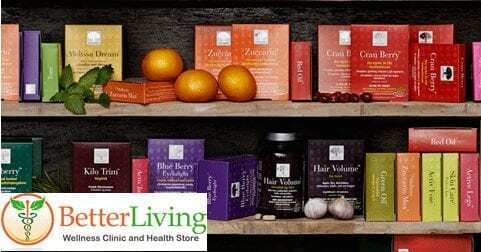 Here are a few product highlights available at Better Living Wellness Clinic and Health Store in Toronto (Etobicoke). Zuccarin Diet contains mulberry leaves which are known in both Chinese and Japanese medicine for blood sugar and cholesterol lowering properties. Zuccarin Diet also contains green coffee bean extract that is popular for weight loss due to a compound in it called chlorogenic acid. Lastly, it has the best nutrient that promotes balanced blood sugar – chromium. 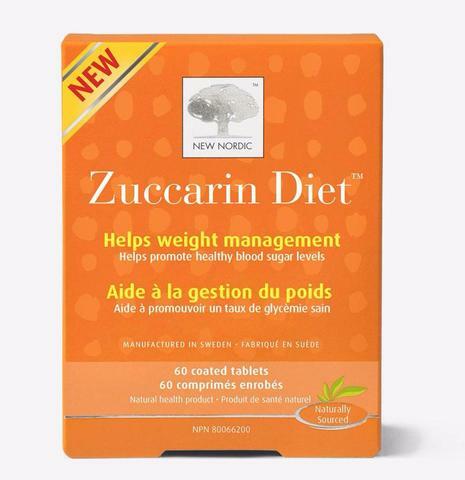 All of the above ingredients make the Zuccarin Diet one of the best products for weight loss. For weight loss or overall health and wellbeing visit us at Better Living Wellness Clinic and Health Store in Toronto (Etobicoke). We have Nutritionists who are experts in this field to assist you to achieve a better health. We now offer Bio-Meridian testing to assess the health of your organs and body systems and create a protocol specific to your needs. 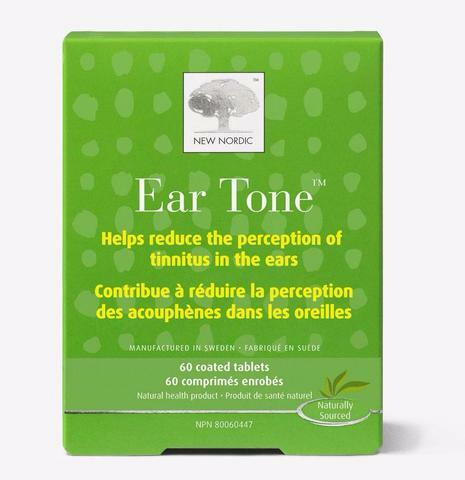 Ear Tone: Ear Tone is a formulation by New Nordic that consists of herbal extracts and minerals. These extracts have been examined in scientific studies for their influence in microcirculation, and tinnitus. Tinnitus is a condition linked to hair cells in the inner ear. These cells vibrate in response to sound and then signal our brain. When these cells become damaged, through infection or loud noise, they send a constant stream of signals to the brain, which are interpreted as ringing. This problem can be worse over time and ultimately causes deafness. Reducing perception of tinnitus in the ears. Gingko Biloba, Pine bark and Magnesium. Although tinnitus is considered non-curable, there is some relief to be found when certain nutrients are used as it’s linked to blood-nutrient flow. Magnesium is required to help maintain normal nerve function in the ear. Studies have shown good results in the relief of tinnitus when high enough amounts of magnesium were available. In a published 2011 study scientists found that at 532 mg of magnesium a day, the “tinnitus severity improved significantly”. Gingko Biloba and Pine bark are known plant ingredients that help enhance blood- and nutrient flow to the inner ear, something that, when lacking, is a common cause of tinnitus. Pine bark especially is showing strong results in relieving tinnitus. For more information how to support your health when suffering from tinnitus come and speak to one of our nutritional experts at Better Living, Toronto. Supplies nourishment to the macula in the center of the eye. 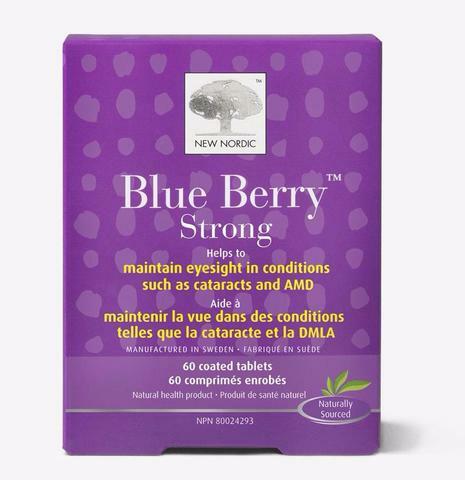 Supports eyesight in conditions of AMD and cataracts. Our vision loses its ability to see as clearly as it used to when we were younger. The central part of the eye – called the macula is responsible for central, accurate vision and light absorption. But as we age, it loses color pigments and our vision suffers. These color pigments are in foods like carrots, blueberries and dark green vegetables. Bilberry, a fruit from blueberry species contains high levels of anthocyanins, or the deep purple pigment, which has excellent antioxidant properties and helps protect the eyes and maintain eye health. Billberry’s are grown in harsher climate and have more antioxidant properties than regular blueberries. Lutein from Marigold flower which is a pigment that is naturally found in dark green leafy vegetables and the marigold flower. Light sensing cells in the eye require this pigment to absorb light and protect from damaging free radicals. Good to note that all the above New Nordic’s products do not contain dairy and gluten. The product is also GMO-free and vegan. At Better Living Wellness Clinic and Health Store we carry al of the products mentioned and our staff of natural health professionals is available to answer your health-related questions. At our clinic we offer a variety of health services to get to the root of your health concerns: Live Blood Cell Analysis, Biomeridian Testing, Iridology and more. Contact us to discuss which service is best for you and how we can help.